Availability 2 pcs. at central warehouse. Kan afhentes i butik (Struer, København) eller sendes til dig indenfor 1-2 hverdage. 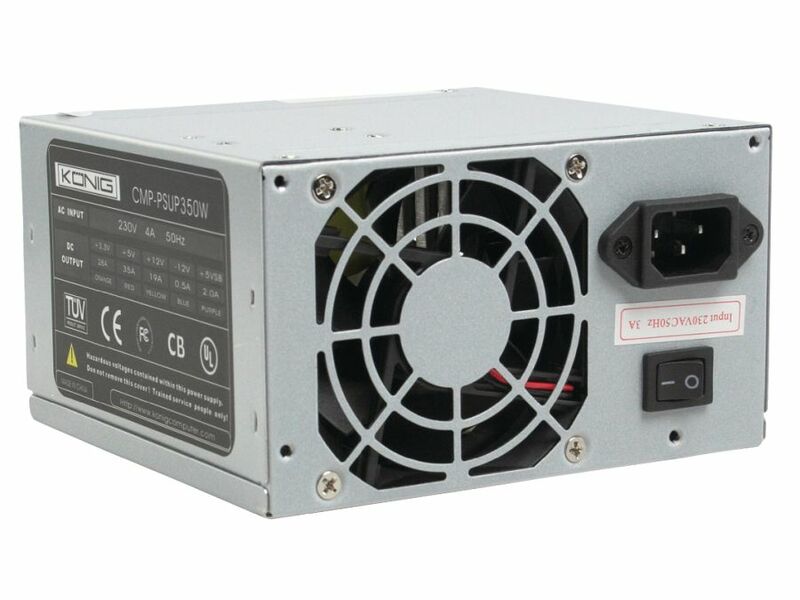 This 350W computer supply can perfectly be used for the AMD and Pentium systems and can be placed in almost every computer case. 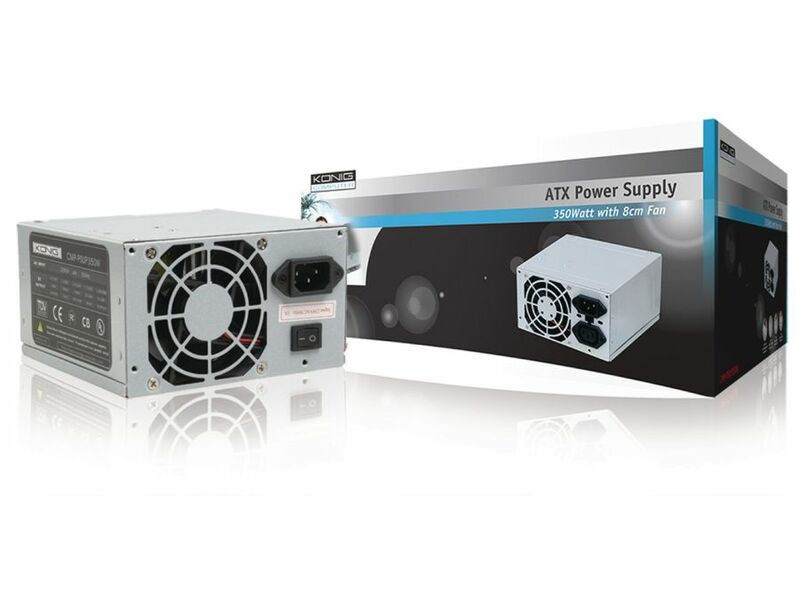 This power supply has both a CE approval and the passive PFC. A 8cm fan regulates the airflow so the power supply does not overload and overheat. The power supply is equipped with a 24/20 pins power connection for the main board. Bemærk: Feeding works only when connected to the motherboard or PSU tester, this is the standard security procedure. 24/20 pin main board konektor. PCI-express forbindelser (4 pol): 1 stk. Floppy Drive forbindelser: 1 stk.